The Moon is Following Me! This is the time of the year when I miss my family and friends a lot. It was like that last year… and I felt the same "loneliness" today. Please don’t get me wrong – Felicia, Elkan and me are perfectly happy… it is just that I miss the crowd back home. This year, we decided to avoid the crowd and to do our solo "lantern walk" at the 47th storey Sky Garden. The view was beautiful and the wind was so cooling. 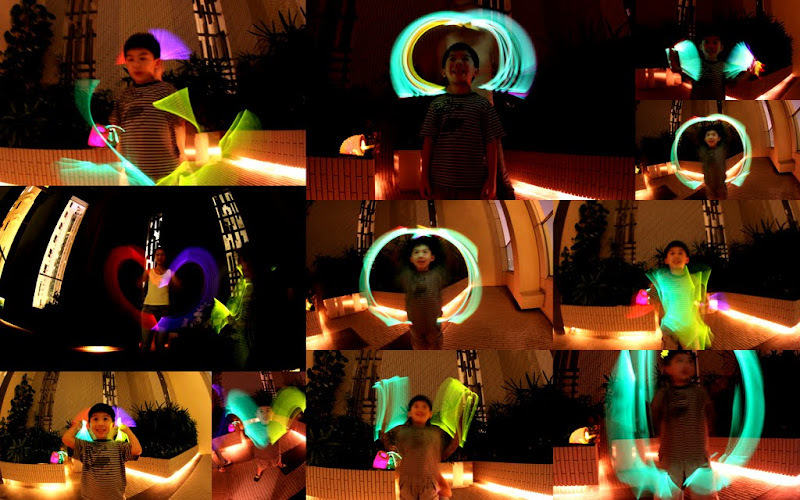 Felicia and Elkan were playing "Motion Light Arts". 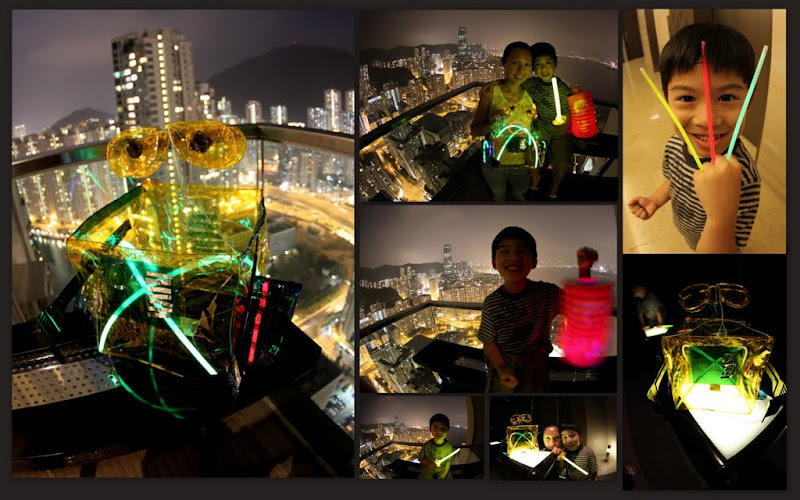 For the 2nd year, Elkan got his home-made WALL-E Lantern (made by Mummy!). For him, it is just pure fun exploring the darkness with those beautiful light sticks (no batteries needed!). One Response to The Moon is Following Me!